The UAA Championship last weekend was a mixture of success and realization for Chicago. The Maroons achieved their goal of a third-place finish, but they couldn’t close the gap between themselves and second-place Emory. Wash U finished first with 149 points, Emory second with 136, and Chicago third with 63. Chicago won’t beat itself up over the loss, but it will be important for them to put it into perspective as they head into the final two weeks of the indoor season and beyond. As has often been the case this season, the middle distance and distance runners performed well for Chicago. 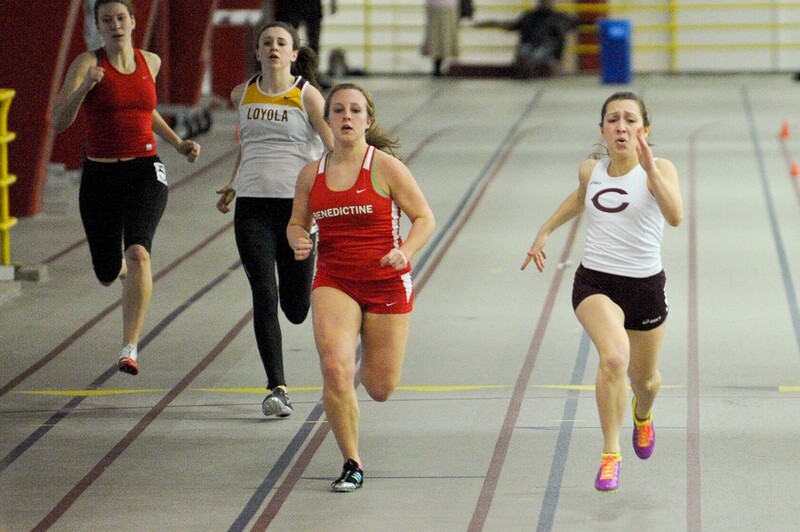 Third-year Kayla McDonald broke her own 800-meter school record for the third time this year in the heats, running a time of 2:12.43 seconds, before finishing second in the final to Wash U’s Erica Jackey. Third-year Julia Sizek finished third in the 3000-meter (10:00.32) with the third-best time in U of C history, and second-year Michaela Whitelaw finished third in the mile (5:06.35). Fourth-year Sonia Khan’s fourth place finish in the 5000-meter (18:06.68) also marked a significant personal record. In the sprints, fourth-year Jaleesa Akuoko finished fourth in the 400-meter final and picked up a new personal record (59.49) in the heats. First-year Simone Aldredge also had an encouraging performance in the 200-meter, where she improved her seeding to finish fifth in a time of 26.50 seconds. This was a meet in which the Maroons knew they had to raise their level, and they did. All season long, the coaching staff has focused on the importance of the team, and the athletes have responded. “I thought our cheering sections were pretty awesome and created a great environment to compete in,” third-year Julia Sizek said. Most of all, though, the Maroons now know they have the ability to step up when it really matters. The number of personal records over the weekend is the greatest demonstration of that and if the team—which is still very young—is able to maintain that attitude, the future will be bright. Perhaps most importantly, though, the Maroons have learned how much they need to improve if they’re going to challenge for conference during the outdoor season. The improvement, they hope, will continue next week at the North Central Last Chance meet this Thursday and Friday.